You can pre-order the Kindle edition now by following this link, for delivery by Whispersync on the publication date of June 6th. As for pricing, I’m following what I intend to be a standard Human Legion model, which is to offer the Kindle book for just 99c/ 99p while it’s on pre-release. 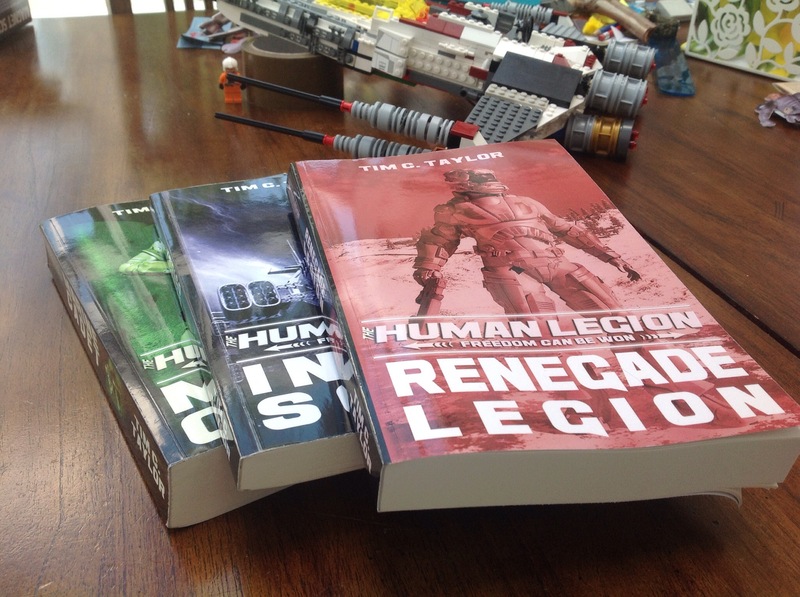 That’s a reward for readers of humanlegion.com because you get to hear about the pre-release first. The bargain price isn’t entirely about me being nice 🙂 For the book to succeed commercially, I want the visibility of a high chart position on Amazon before I up the price, and I’m hoping the price will help get Renegade Legion up the charts. Hi Tim, I checked your page at Amazon US (where my account is) and I don’t see the book there. The link you gave in your post sends me to the German site. Hans, you have bamboozled the Internet 😃. The link is trying to send you to your local store. Sorry to answer only now, and thanks for the link. What I did to reach the order page was first change .de for .com and then erased “?tag=geolinkerde-21” and I got the pre-order page. That might work for other countries if you don’t buy from the pre-stablished Amazon site for your country. Anyway, Looking at your page (authors page) at Amazon US your pre-order option is not available. I use to pre-order a lot of books from different series and I noticed that some are available in the authors page others aren’t. It seems to me that there is an option on the author’s control panel that allow the pre-order show on his/her page or not. IMO it should be wise to check this at your Amazon CP or ask their support ’cause a lot of people check your Amazon page instead of your blog and many are notified by Amazon too. I also think that many of your fans doesn’t even know you have a site. People check the books but not read the author’s biography ans worse, people have to click “see more” to find out that you have a site. Guess how many do that? P.P.S. Just to make you feel a little guilt 😀 — I bought a book the latest of a series I was reading with about 200 pages and paid more than US$ 6.-, you you keep givin’ up your hard work. $6 for 200 pages. Ohhh! I’m looking forward to raising my prices once I’m out of pre-order. At your suggestion, I took a look at the AUthor page Amazon makes and they hadn’t associated my new book with me. So I’ve set Amazon to fix that, thanks. Dang Ruopp, you’re gonna make him price it out of my league!! LOL!! Dang me! It’s not my intention to put the price high enough that some people won’t be able to afford it. But let’s be fair, .99 is too cheap for his work, even if Tim’s intent is to promote his work. As I pointed out in another post the frequency you publish your books is a fair way to keep you in the top 100 and that also help sell the other books of the series. I use to check for new sci-fi books and when I find one I check if it’s part of a series and go to check out the first book and, if the plot appeals to me I read all the series and add the author to m list (that’s how I found out about Tim’s books). Back to the price, take a look at Ryk Brown’s price and you’ll see that all his books costs the same. 3.99 USD. I can say that in my opinion he’s a successful indie author. Not only he stopped to work on his day job to fully dedicate his time on writing but he was also able to take some flight lessons and buy a plane. Not bad at all. One of the reasons of his success is that he offers additional content to his books on his site, not only schematics for the ships but also a forum where people discuss the technologies and start to guess what’s gonna happens in the next book. There is even a fan that created a wiki site about the series. Right now he’s looking for some writers to write side stories (with his guidelines) from before the era of the main plot. If Tim change his price to 2.99 for all his book I don’t think that this will impact on anyone’s budget and on the other hand it will not discourage new readers to buy it. Tim is actually doing part of it with his side stories and some tech data. It’s also true that HL is 6 episodes only and we are already on the third book, but nothing forbids Tim to start a new series within the same universe he already create and even a sequel with more adventures for the HL. I’ve just bought my first Ryk Brown books yesterday, which makes your comment a nice coincidence. Ryk’s books are fairly lengthy and his backlist sells in reasonable levels. Having sold at those kind of rankings, I would say his books that have been out for a year or so, and ranking around #4000-#5000 are bringing him in about $100 per day. That’s very impressive. Mind you, his ability to write a large number of lengthy books that keep readers wanting the next book in the series is very impressive too. Ruopp, I know what you mean! LOL, I was kidding but I definitely think he should do whatever he needs to to be able to keep writing! As for the technology end of things, well that just isn’t my cup of tea!!! That said, a better website and a wiki thing sound excellent. How does one go about creating one? I have started a Wikia Page for The Human Legion!! Now all I need to do is slowly fill it up. I am using Tim’s own words from this page as a starting point and linking back to this page in the article. This is all new to me, so check it out and help me get started!! Thanks. I think that’s a much better idea than what I have on the website so far. As asked by Mike, I’ll help him to fill the pages, The first thing I thought was to customize the page so it has the looks of the HL series. 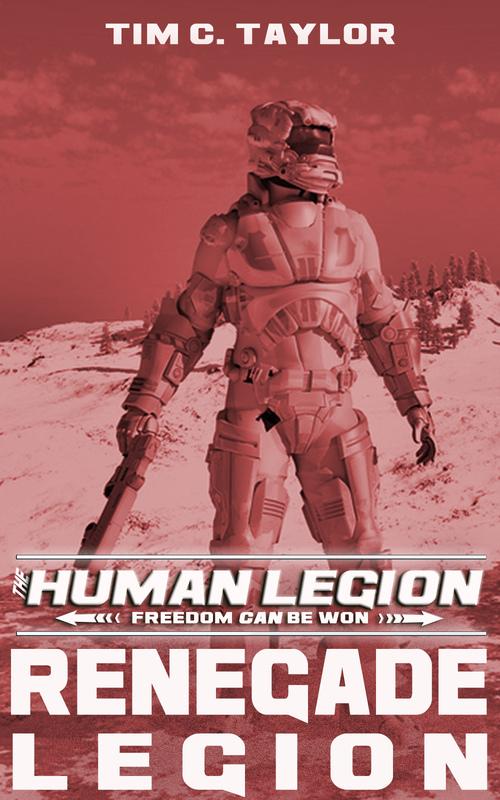 So I would like to ask you if you can send to any of us (Mike or me) the Human Legion Banner and some images we can add to the wiki? Can you also send us your bio and a photo so we can create the authors page, add all other books you’ve written. (My fat fingers)… I just wanted to wish you a good day, and Mike a Good night. Sounds like a plan guys!! Ruopp can help me get it better laid out and we can add stuff from this site before fluffing it up! hope you like it. Thanks for the support. Can’t wait to pre-order it!!! Any applicable gift certificate and promotional balances will be applied to this order on release date. Thanks David. I’ve marked you down for a copy as soon as it’s ready. Thanks for the support. you keep writing them Ill keep reading them.